With React, abstraction doesn’t have to be limited to separating presentational and container components or lifting up state. Often, extracting a simple layout component can serve as a good abstraction to either clean up a bloated component or result in a generalized, reusable piece of UI. A good sign that you might benefit from extracting a layout component is a bloated render method with many levels of nesting. Others might be a lengthy component definition or duplicated/verbose HTML patterns throughout your components. It’s easy for your render method to creep upwards in size as you can easily dump HTML JSX into them and be on your merry way. Extracting layout components can tame bloated React components and help define clearer boundaries within your UI. When developing a large or complex component, I find it’s useful to default to duplication and less abstraction, keeping it all within a single component to begin with. I prefer to avoid making assumptions and drawing boundaries too early on. This frees me up to experiment and revisit refactoring and abstraction later on in the process. Once I’ve been through a few iterations of a component, I usually have a pretty good feel of where to start drawing more concrete boundaries. A layout component could be something as simple as a Section component that wraps the given content with some container divs and applies some styles/classes. Another example I find useful is a Button component that takes care of applying styling related classes and DOM attributes, while exposing a more friendly API via props. Here is an example of what converting the button from Bootstrap 4 into a React component might look like. * A button component (that also supports href)! // If we are disabled, lock it down!! To get a feel of what I mean by a bloated render function, take a look at this before. Notice the giant blob which is .MonthGrid and everything nested under it. Cleaning this up a bit, I end up extracting 2 components Day, and MonthGrid. 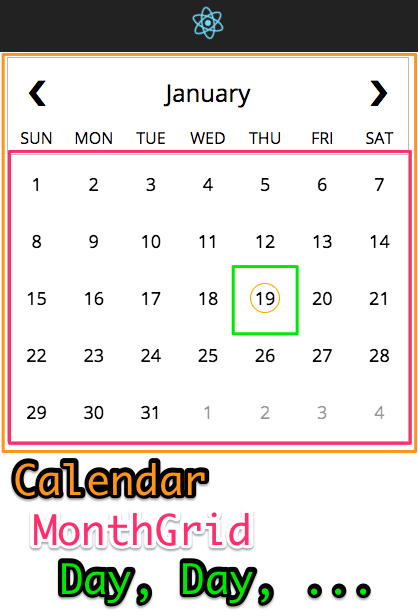 MonthGrid handles all of the layout-specific logic and DOM, while Day exposes an API that we can build on (as seen here: https://github.com/erikthedeveloper/react-calendar-components). 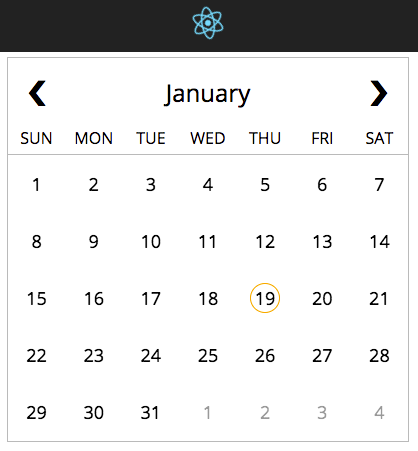 If you are interested in poking around some more React code, I’ve got this example project https://github.com/erikthedeveloper/react-calendar-components along with demo via React Storybook https://erikthedeveloper.github.io/react-calendar-components/. I’ve been exploring composing UI and behavior from multiple higher order components. 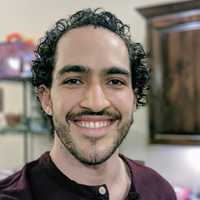 If you found this interesting and/or useful, let me know below or ping me on Twitter @erikthedev_. I’d love to hear what approaches/libraries others are finding useful!